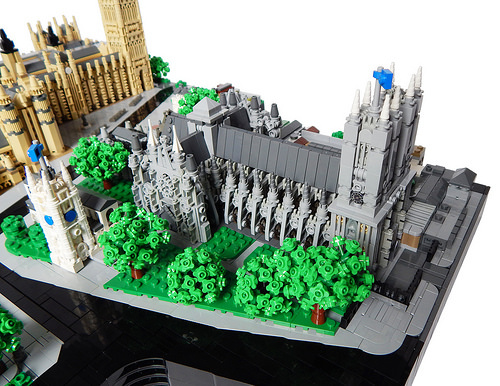 We’ve featured the marvelous structures of master LEGO architect Rocco Buttliere quite frequently here at The Brothers Brick, from downtown Chicago to his recent 12-foot Golden Gate Bridge. 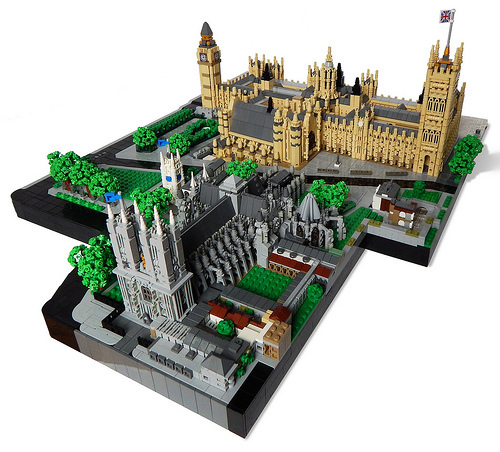 Rocco’s latest LEGO build captures the heart of the sprawling Westminster World Heritage Site in the City of London, centered (or centred, if you prefer) on Westminster Abbey, the Church of St Margaret, and the Palace of Westminster where the UK Parliament meets. Each of the main buildings is highly detailed, with beautiful landscaping evoking a summer day in June. Westminster Abbey is stunning, with a Technic gear for the rose window in the north transept and excellent flying buttresses. 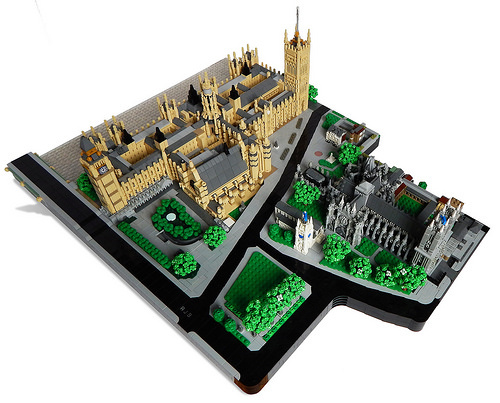 This overhead shot shows just how accurate Rocco’s microscale layout is, including the Jewel Tower and the Abbey’s Cloisters as well as all the green spaces, non-perpendicular streets, and the Thames beyond the Houses of Parliament. Check out Rocco’s photoset on Flickr for lots more closeups and detail shots.